Yet another boarded up gas station and yet another chance for a new home or a new fish store. This is Sam's Sunset at 5007 W Sunset Blvd in Hollywood, which closed a few weeks ago. What happened? "I got tired of [the business]," Sam tells us. 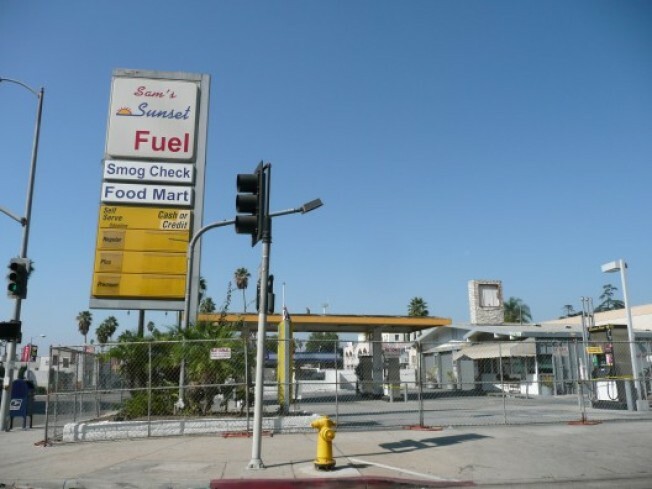 He ran this gas station for six years, and says he doesn't know what the owners have planned for the site. But that gas station home prototype seems even more timely than it did back in June.